Dungeon & Heroes is a 3D RPG exploration game in which you may collect materials, upgrade heroes, explore the wild and fortify your castle. Encountered with a fierce storm during the voyage, you accidentally ended up on a mysterious continent. To survive on this unknown land, you must fortify your castle, recruit heroes and explore far and wide. Enjoy an eye-catching view of your Castle, along with fantastic heroes and monsters, all 3D view guaranteed! Roam around the world map with a variety of terrains and take down your enemies! Build and fortify your castle, recruit and collect powerful heroes, fully explore the world and collect every resource to thrive. Enjoy the sweet taste of victory in a simple idle style! Plenty of terrains, stages and items are waiting for you to explore. Challenge and conquer giant monsters! Summon heroes from different races, train them with strategies to set up your unique troop. Heroes have unique properties of their own. They will have brand new appearances while being promoted. Note that forging in Smithy comes with a certain degree of randomness which may give you a surprise! Fight monsters in amazing 3D scenes with a first-person perspective. Make a good choice for your front & rear row and show your power in endless real-time battles with spectacular special effects. Challenge Flame Dragon, smash the Dungeons, beat through Infinity Tower and participate in Arena. 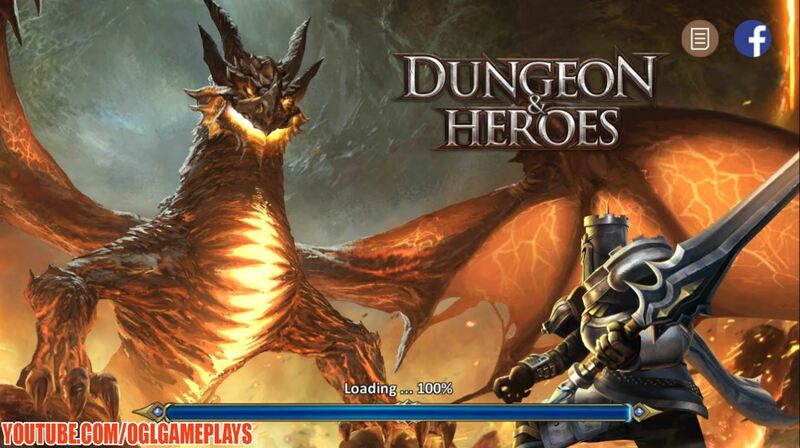 Be a true commander in Dungeon & Heroes! Create or join a Guild to play with people together. You’ll have much more fun to battle with players from all over the world! A lot more is yet to come. Join us now and explore the mysterious continent together! Related Tags: Dungeon & Heroes.